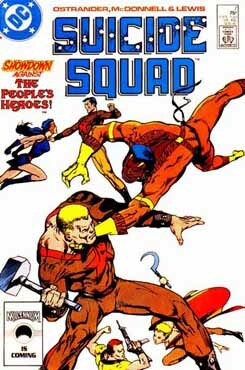 This month, we conclude our Suicide Squad in Russia storyline. Title: "Thrown to the Wolves"
We conclude our storyline where our team attempts to escape Russia and have to battle The People's Heroes! 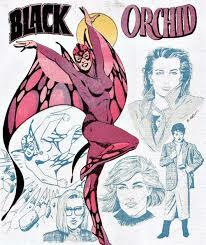 Also, we have a Character Profile of Black Orchid! Black Orchid from Who's Who! Black Orchid in Adventure Comics! As you might have noticed, you can now get directly to our page by going to taskforcex.headspeaks.com. You can still go to http://headspeaks.com and click on Headcasts to get to the embedded Stitcher player. Look for G.I. Joe: A Real American Headcast in two weeks (the first week of the month) where Ryan, Kyle and myself look at G.I. Joe: A Real American Hero issue 3. The following week, look for Head Speaks episode 16! Be sure to return next month and listen as we talk about Action Comics 598 and Suicide Squad issue 8.